As the proud owner of a Panasonic GH2, I can certify that I agree with the results of Zacuto’s Revenge of the Great Camera Shootout, Episode 2 (access the video here). To the amusement of many on the web, Francis Ford Coppola chose the look of the GH2 (GH2 body: $749 at B&H) over the other nine new and established cameras in Zacuto’s comparison. Turns out many of those attending the screenings thought the same, even though they could choose among scenes captured with a Sony F65, Red Epic, Canon C300 or an Arri Alexa. A Canon 7D came in far down the list. An iPhone 4s was even tossed into the mix, although its comparative limits had it immediately stick out. Meanwhile, screening in 1080p or 2K didn’t yield much of a difference among the video on the screen. However, I would imagine that putting this same video on a 4K projector and a large screen would greatly change the winners’ lineup. Such comparisons also don’t delve into just how easy it is–or not–to work with each camera in the field. At the end of a long day of shooting, camera systems fitted with industry-standard rigs remain favorites with crews and DPs alike. 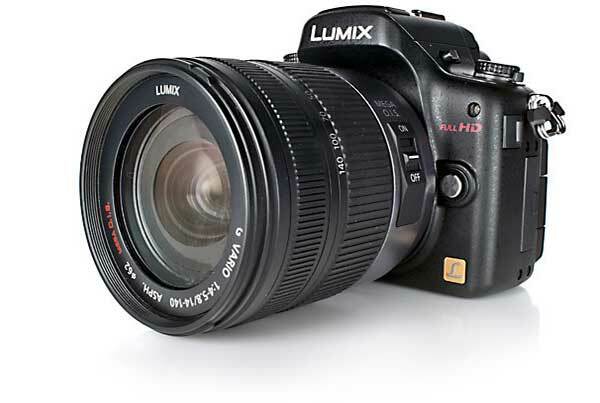 Still, that a micro four-thirds camera could even compete and mix its footage with such established names shows once again that talent and good ideas win the day. Good tools help, but not as much as some of us might hope. Andrew Reid’s take on the whole affair makes a good read. Last week I spoke to Lance Holte of the Bandito Brothers, an LA-based production company. I had called him to learn more about a fun and interesting project that they created for Mattel’s Team Hot Wheels using three early production units of the HP Z820 RED Edition workstations, Red EPIC cameras and Adobe Premiere. 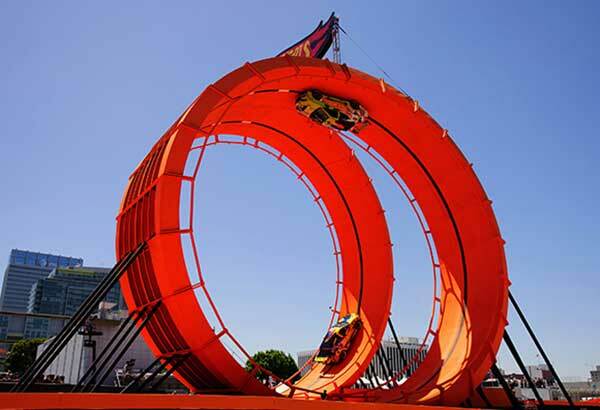 The challenge: At the 2012 X Games in Los Angeles on June 30, a world record was set by two drivers for a gravity-defying race through a 60-foot-tall double vertical loop, a life-sized version of a Hot Wheels track set. With not a moment to spare, Jeff Tober and the Bandito Brothers had to shoot the event, edit the footage and post the result in under three hours on the HotWheels website (www.hotwheels.com) and on YouTube. Other key Bandito Brothers personnel included Lance Holte, Mike “Mouse” McCoy and Jacob Rosenberg. To film the hair-raising stunt, they used eight RED EPIC cameras set up at different locations around the track. Other cameras included the Canon 7D and 5D; GoPro Hero 2 cameras were mounted on the racecars. The footage was shot at different resolutions and frame rates including 4K, 2K, 1080p, 720p, 300 fps, 240 fps, 120 fps and 60 fps. Transferred came via the REDMAG readers to an internal, three SSD RAID on the main Z820 RED Edition workstation. Editor Jeff Tober then dropped all the footage onto the Adobe Premiere Pro timeline. Without any transcoding, Tober was able to take full advantage of the Z820’s muscle (helped along by two RED Rocket cards) to edit in real time regardless of resolution or format. Watch the video of the Double Loop Dare at the Hot Wheels website. Andrew Kramer’s Video Copilot site is a real resource. The blog has long provided useful tutorials, tips and techniques for special effects, and for After Effects users in particular. Kramer also produces useful plugins and other products such as Action Essentials (pre-keyed HD elements to use in your own productions), 3D Lens Flares, cinematic production music and more. A few days ago I came upon an interesting new plugin on the site. 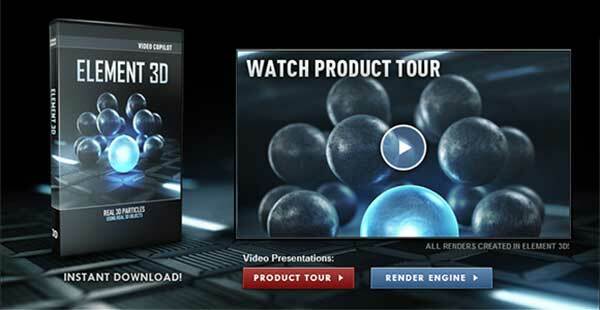 Designed for After Effects, Element 3D allows you to import 3D objects–complete with textures–into After Effects. Once it’s inside, you can move the After Effects camera around, change the lighting, and use the plugin’s sophisticated particle system to clone the object and animate the clones in different ways. What’s really amazing is how fast it renders via its custom-built OpenGL renderer. Element 3D also handles depth of field, motion blur, and fog. Want to replicate your clones in different shapes and even use another 3D shape’s vertices as emitters? Done. You’re also given a lot of control over just how to animate all the particles. Element 3D also enables you to import a complex model and then separate it into its component parts. (You can import OBJ and native Cinema 4D files.) The plugin also contains a separate custom user interface. With it you can group together different parts of your model, apply textures, set up environment maps and more. You can also use it to mix multi-passes such as diffuse, specular, reflection passes and bump. Element 3D also includes a library of interesting textures such as rusty metal, ice, chrome, and glass that you can apply to the models. To top it all off, Video Copilot also provides model packs with collections of quality models that you can use in your own productions. Pretty neat. Check out this page for more information on Element 3D. Smith Micro, publishers of software such as Poser and Anime Studio Pro, has released a free public beta version of its latest software, MotionArtist. With the app, you can easily create digital comics and interactive graphic novels using images you already have. The app helps re-format and recreate them to create motion. Web developers and photographers will also find the software useful. 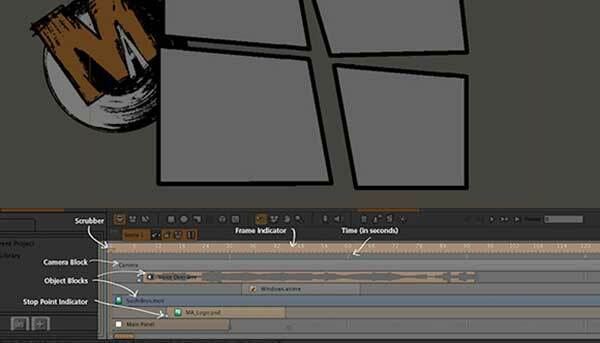 If you’re creating animated movies or complex character animation you might want to take a look at Smith Micro’s Anime Studio Pro. While Motion Artist isn’t a full animation system, it does allow you to add animation to your stories to bring your pages to life, create interesting transitions between panels and animate artwork and even do cool effects within each panel. I liked the layered 3D effect that adds depth to comics. The HTML 5 export is a useful, up-to-date feature too. You can use Motion Artist to convert traditional comics to digital ones, and even add motion to them. Why not download the beta version and try it out for yourself? Let us know if you come up with some cool stuff. We’d like to see it, and might even feature your work on the site.